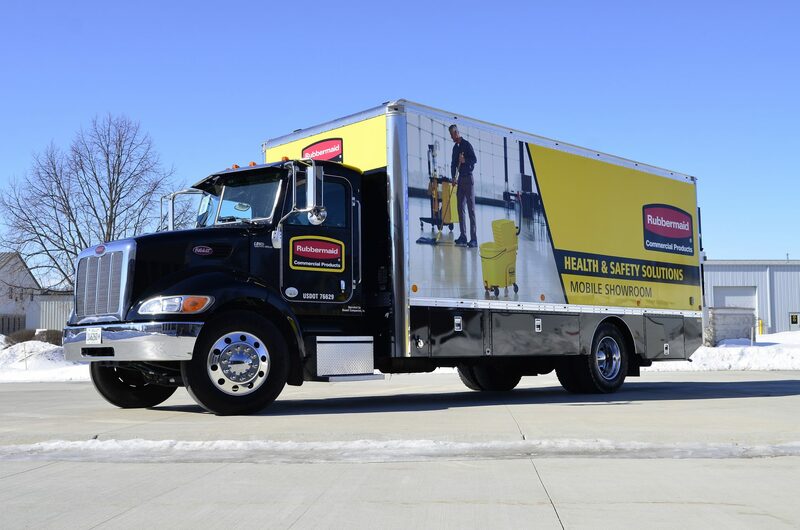 Newell Rubbermaid selected a Peterbilt 337 with a 26,000GVWR and a 22' long all aluminum van body as the platform for their mobile showroom vehicles. Electronics integration, monitors with touchscreen overlay and superior sound as well as plenty of wall space for sales displays and story boards make these mobile showrooms extremely versatile. A repeat LDV customer, Rubbermaid knows quality, sells quality and wants their mobile showrooms to reflect that. Explore our huge inventory of on-demand specialty vehicles, and find the one that's right for you. Have a question? We've got answers.